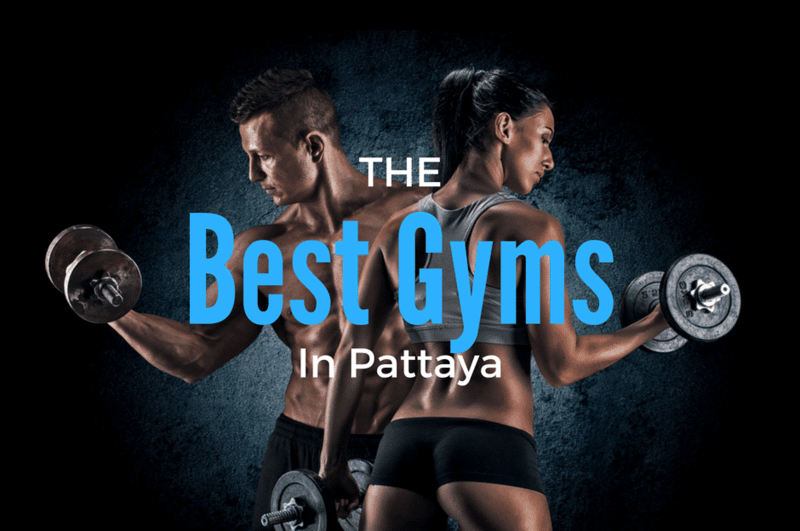 After talking with friends, fitness buffs, and bodybuilders who live in Pattaya – plus a lot of research, I came up with the list of the 5 best gyms in Pattaya. The list is now up to 8 Pattaya gyms and fitness centers after some recent additions. All the gyms have a full selection of equipment, from free weight to cardio and will allow anyone to get in a good workout. The fitness scene has really been improving in the last few years, with some new gyms opening up and at least one more big one coming soon. The prices included below are correct at the time this article was written. However, use it as a guide and check with the actual gym for their latest costs. 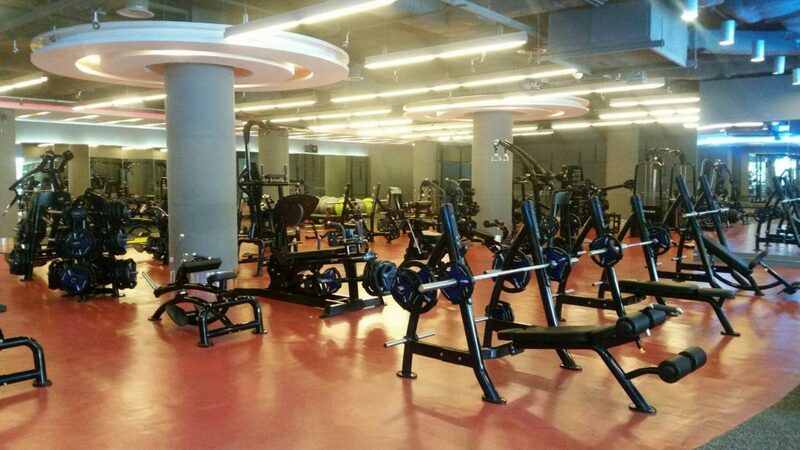 Fitness 7 is one of the newest and best fitness center and gym in Pattaya. It opened in the Pattaya Avenue shopping mall in 2016 in space vacated by the old CaliforniaWOW a few years ago. It offers a full range of weights, machines, and cardio equipment – all new and modern. They also offer Muay Thai classes and personal training as well. The only downside so far about this gym is that there only seems to be aircon in half the place. Hopefully, they will rectify that in the future. 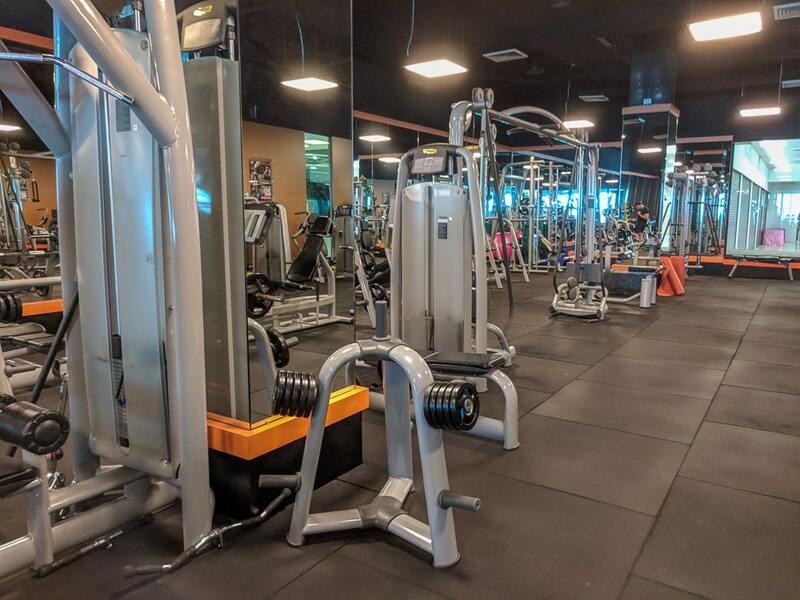 The costs are on par for such a nice place and great location in the middle of Pattaya, and although the daily rate is comparatively high, it is not the most expensive gym on the list. They offer Daily, Monthly and three-month rates. The newest gym on the scene is Coco Fitness. It is located in Mike Shopping Mall on Beach Road. Coco Fitness is the nicest of all the gyms I visited and is my personal favorite. An elevator from the beach road entrance takes you up to the 4th floor and opens directly into the gym. Everything is brand new and there is a wide range of equipment from free weights and machines to a large cardio section. 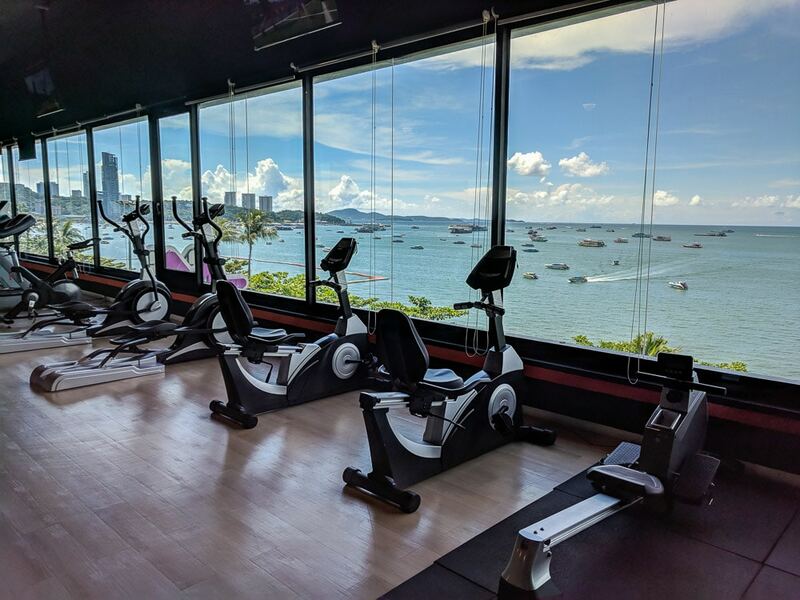 The gym has the best view of any in town, with the cardio area overlooking Pattaya Bay. Pricing is on the high end. Though if you are able to join for 3 months or more they offer a discount that puts it in line with Fitness 7. They also offer a variety of packages and prices from 1 day to 1 year. 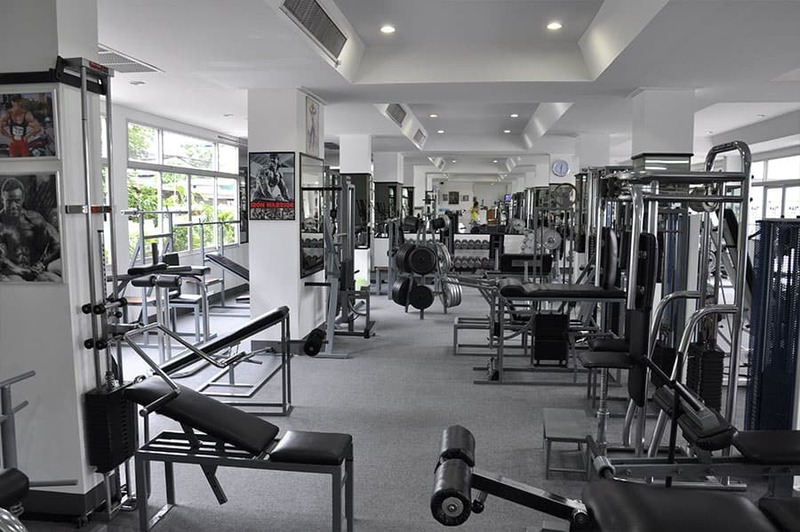 A popular location with bodybuilders in Pattaya is the Universe Gym. You’ll be able to find free weights, machines, cardio equipment to get in a full workout. 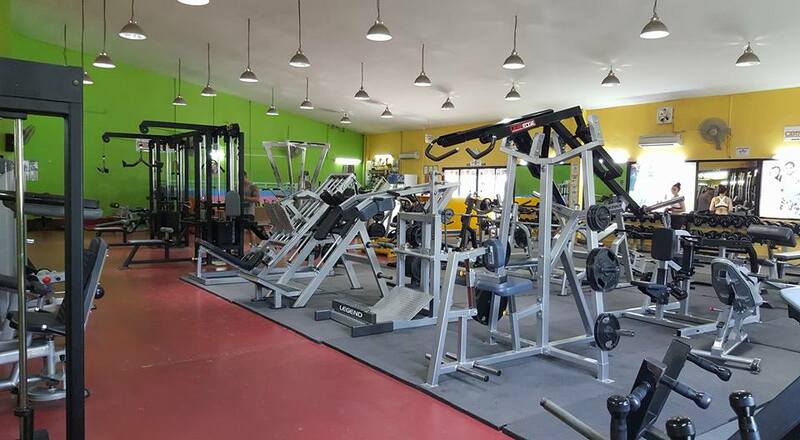 The gym and equipment have both been put to good use and show some signs of wear and tear, but that is normal for a gym in Pattaya, and you’ll find that overall the fitness equipment is in good condition. 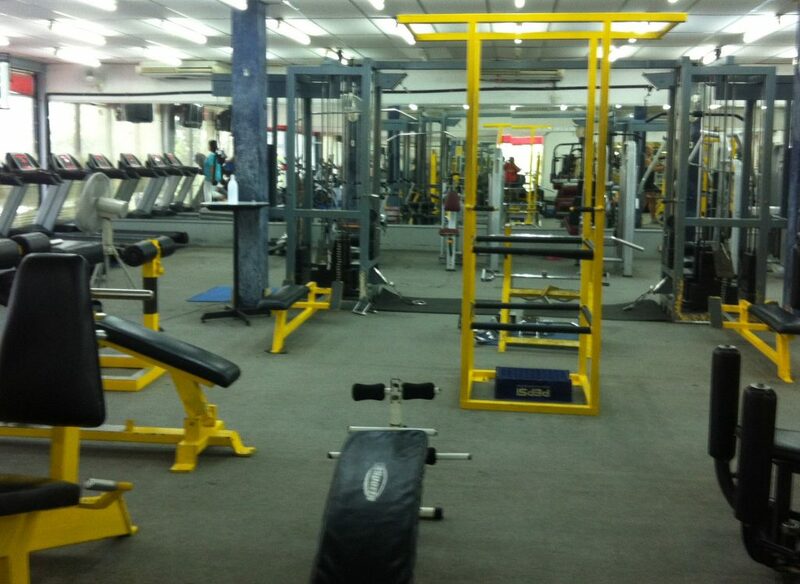 The Universe Gym offers supplements for sale, fitness classes, and personal training in Pattaya. It is located off of Central Pattaya Road just before Sukhumvit Road, behind the new Harbor shopping mall. Prices are very reasonable and they offer a variety of packages from one day to one year. Plus a discount for couples. The Castra Gym is set up with a full selection of free weights, machines, and cardio equipment. They offer a variety of personal training and classes for the beginner to the advanced. Another gym popular with the crowd of bodybuilders in Pattaya. This gym is a little bit more difficult to get to unless you have your own motorbike or car as it is located in East Pattaya out past Sukhumvit Road. Costs are reasonable and they offer a choice of daily, weekly, monthly, and annual memberships. 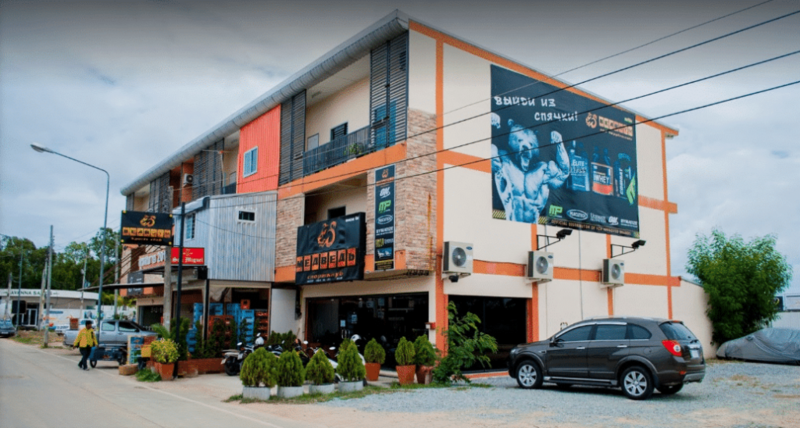 The Bear Gym is a large 3 story fitness facility located in Jomtien. It has a wide range of equipment including cardio, free weights, and machines. Another favorite of Bodybuilders in the Pattaya and Jomtien area. The gym also offers personal training and a healthy shake and snack bar. Bear Gym also has a supplement shop in the lobby and they have now branched out to having several supplement shops in Pattaya, including one in the Royal Garden Mall. Their supplement shops are called 7 Pounds…I’m sure there is a reason behind the name but I can’t tell you what it is. This is one of the only gyms I know that caters to Russian clientele as is evident from their signage, website, and some Russian speakers on staff. Don’t let this put you off if you are not Russian, they are welcoming to all, tourists and locals alike. Team Better Bodies Gym is another good option to check out for those located in the Jomtien area. The gym has a plentiful supply of free weights and machines as well as some cardio equipment. A few of the perks Better Bodies offers are free personal training for the first month, free water, and free wi-fi. While the gym does have a focus on bodybuilding, they also specialize in helping people young and old get in shape and lose weight. They speak Thai, English, and Dutch and are welcoming to all. The gym was started by 3 time Ms. Olympia champion Juliette Bergmann and that bodybuilding pedigree continues on as their own Penpraghai Tiangngok qualified to compete in the 2017 Ms. Olympia. 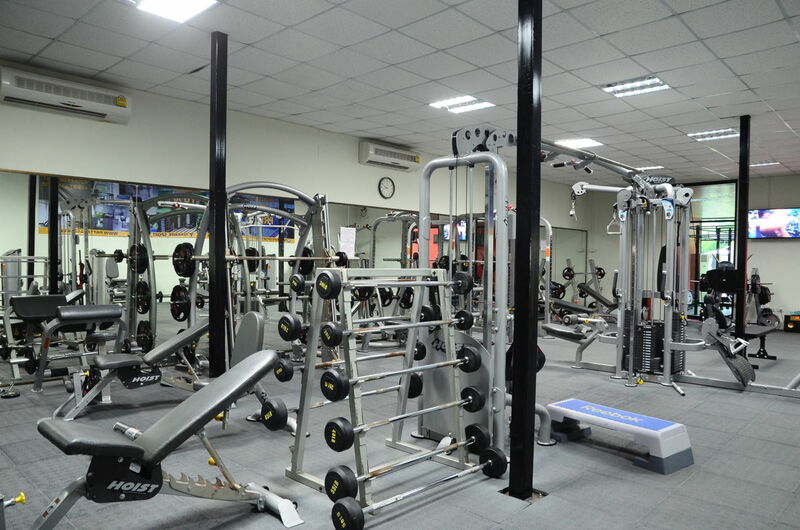 SportPoint is a complete fitness center offering gym, cardio, a variety of classes, personal training, pool, and sauna. It is a family friendly facility with activities for both adults and their children. The gym includes a full set of free weights and machines. A separate cardio room includes treadmills, elliptical machines, and lateral trainer. All the equipment is professional grade from Hoist (weights, machines) and Star Trac (cardio). If you are into group exercise classes, SportPoint offers a great selection. You’ll find classes in yoga, Muay Thai, Zumba, aqua aerobics, and more. All the group classes have their own prices and vary by activity. You can see the pricing on their site. SportPoint also has a very nice outdoor pool area with sun loungers and cabanas – the pool is also used for some of their classes during the day. Note that use of the pool is not available for daily or weekly memberships, however, it should be available as an add-on for a small additional fee. While I hit on the highlights of this facility it would be impossible to cover everything on offer at SportPoint in a short write-up, check out their website below or stop in for a visit. Sport Point also offers discounted rates if you only use the gym between 8:00 and 16:00. Longer term plans are also available – 3, 6, 12 months. See their website for full details on pricing and the club. If you are looking for a luxury health and fitness center in Pattaya you’d be hard-pressed to find a better option than The Fitz Club. The sports center is part of the Royal Cliff Hotels Group but you don’t need to be a guest in order to use the facilities. Memberships to the Fitz Club are available from day passes to yearly memberships. The facility and grounds are extensive and there is a lot on offer to its members. There is the gym and fitness center that has free weights, machines, and a large assortment of cardio equipment. You’ll find top end equipment from LifeFitness and Cybex. For a good cardio workout, there are treadmills, ellipticals, and exercise bikes. In addition to the fitness center, you’ll find 2 Swimming Pools, 2 in-pool Jacuzzis, Children’s Swimming Pool, Swim-up Pool Bar, 7 Floodlit Tennis Courts, 2 Air-condition Squash Courts, Steam and Sauna Rooms, Yoga Class, Thai Boxing Class, Aqua Aerobics, and the Kids Club. Day passes give you access to all the facilities except the squash and tennis courts. 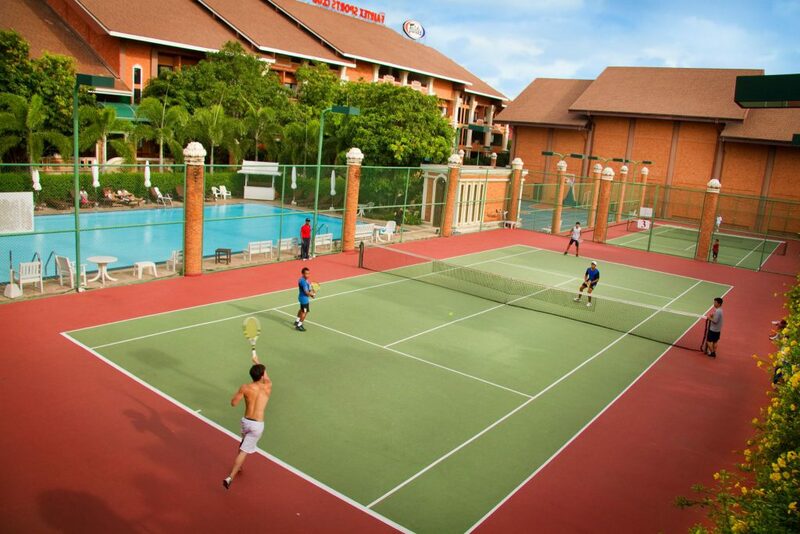 Members get special prices for the usage of the Tennis and Squash facilities. For more information on these prices please visit the club’s website or call the club’s reception on 038-250421 ext 2621. If you are looking for a luxury health and fitness center in Pattaya, The Fitz club is the one you want to check out. It’s hard to do justice to such a large facility that offers so much in a few paragraphs, for more information on the club and activities, visit their website below or drop in for a visit. *Additional 3, 6, and 12 Month memberships available. See website for pricing. While Fairtex is going to be one of the most expensive gyms in Pattaya, it may be worth it for those looking to pay a premium price. Fairtex is an entire complex that includes the hotel, Muay Thai training, fitness classes, tennis, rock climbing, and a whole lot more. The facilities are in great shape as they cater to the high end of the fitness market. The gym includes cardio machines including treadmills, bikes, and elliptical. The weight room has a good selection of free weights and machines. Fairtex is not going to be for everyone, especially the expat or tourist on a budget. Most will find their prices ludicrous, but it is one of the best gyms in Pattaya, so it made the list. *Update as of July 2017 – Still no word that Fitness First has opened. I’ve reached out to them and I’m hopefull I’ll hear back with an update. Fitness First, one of the largest gym chains in Thailand is scheduled to be opening a new branch in Pattaya at the Harbor Mall. It could be set to open by the end of 2016 or early 2017, but this is just speculation and no information is available other than looking at the floor plan of Harbor Mall where they are listed as a major tenant on the 6th Floor. Fitness First will be a welcome addition to the fitness scene and gyms in Pattaya. The Tony’s Gym chain of workout places in Pattaya has been around forever. Unfortunately, my experience there wasn’t great. The equipment is old and often times broken or not working properly, it didn’t look like they’ve had a refresh since they were opened. Though I’ve had several visitors comment that it is their favorite gym in Pattaya and it is a great place for bodybuilders. I need to give it another look one of these days and if has improved I’ll add it to the list. What are your favorite gyms in Pattaya? Is one of them not on the list? Let me know in the comments section below. Thanks Mathew. Check out Fitness 7, I really like it and think it is the best gym in Pattaya right now. I know a nice gym near by na Jomtien Called: Better Bodies Gym. During my first month of training I get personal training for free and it’s only 1000 baht per month. Is a nice place with free water, wifi and yes they have aircon! Thanks for the tip Joey. Better Bodies Gym looks like another good alternative for a gym in the Jomtien area. I’ll try and get them added to the list soon. There is a very new gym “Pattaya Sports” just opened in Soi Khao Noi. It’s located in the Badminton hall basement behind the football fields. Very nice machines, dumbels, bikes. Also Yoga, Zumba and other activities are provided. All in airconditioned rooms. Thanks Rudi. Do they have a website to checkout? I really couldn’t find anything about them by searching the web. I was a member FITNESS FIRST when I lived in Bangkok. I love it so much. Look forward to joining this International brand & good management. Lots of activities classes! However the Day-pass is now 190 thb but they give a bottle of water for free with it. Thanks for the input Johnny, it’s always great to get feedback on the list and the places people like best. I’ll update the pricing for Bear Gym. Bear gym is like a small bedroom gym,fitness 7 might be all upto date (clean rubber weights and fancy cardio machibes with usb ports) but theres nothing wrong with old equptment as long as you know how to use it,which most fitness fanatics should do. I suppose its down to personal preference but if your serious about bodybuilding Tonys gym is the one to go. Very true, worse gyms are more expensive in Pattaya. However, Planet Fitness’s business model is to have a really low price, sign up as many people as possible, and hope that most don’t show up but won’t cancel the auto bill because it is only $10, and they ‘really will go to the gym next month…’ Not sure that would work in Patts. Even so, 1500 THB is still too high for what you get at most of the gyms in Pattaya. I’d think the ever-increasing competition would lower prices, but that doesn’t seem to be the case. I agree these are crazy prices compared to USA. Get some resistance bands, learn how to do push-ups and how to jog. No need for gym especially at these absurd prices. 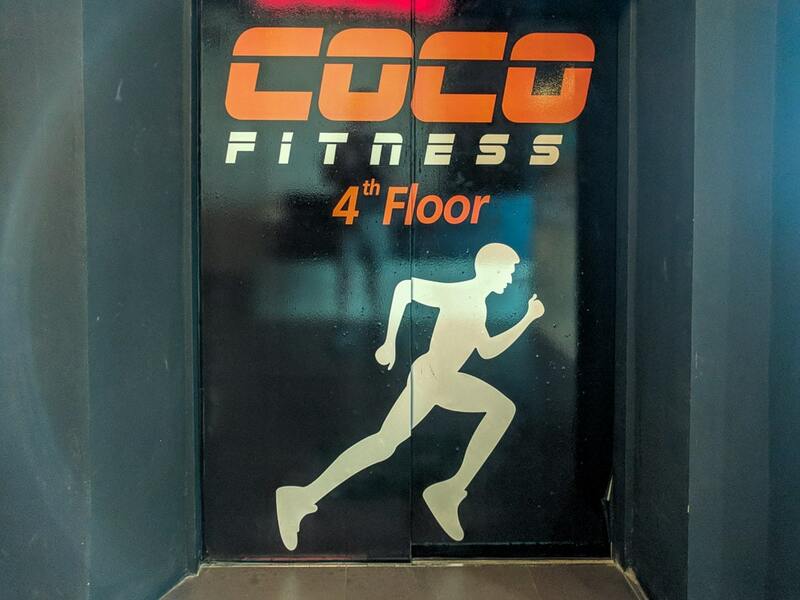 What about Coco Gym in Mikes shopping mall? It’s new so I haven’t been to Coco Fitness yet. I’ve seen pictures and it looks great. Amazing view of Pattaya Bay from the treadmills. Prices seem steep at 2500 THB a month. 1) Most have monthly rates that are more expensive than what I was paying for a huge, super-well-equipped LA Fitness in the United States. 2) Very skimpy cardio equipment, if any at all, in the gyms I have visited. Weights are fine, but a good cardio workout helps prevent pulled muscles and is valuable in itself. Any update ? Someone told me that a new gym opened near north Pattaya / Naklua ? I haven’t heard of a new one in that area yet, but if you have any more info I can check it out and add it to the list. How about the Avani Fitness Center (formerly Marriott). It is very expensive, but also (last I knew) included a break room with free coffee and salad bar, tennis, and very restricted use of the beautiful pool. I would be interested to know if anything has changed there (eg have they stopped offering the free salads and smoothies.). Hi Nik, that’s a great suggestion. Is that in the park across from the Police Station? I’ve never been there myself, but a friend mentioned he uses it regularly on his trips. looking for a good gym near Pattaya – Naklua, who can help ??? Im not sure how much you actually know about gyms. Tony has a lot of Hammer Strenth equipment in his gyms. Hammer Strenth is by far the best gym equipment ever made. Can you name one other gym in Pattaya who have invested in Hammer Strenth equipment ? Real Gyms, need to be a lot more, than just look pretty. You should add Fun gym 2. Good equipment and aircon for 100b a day I think. It’s in Naklua but easy to get to on baht bus. So a lot easier to get to than that one in E. Pattaya. They also have Fun Gym 1 in E. Pattaya.